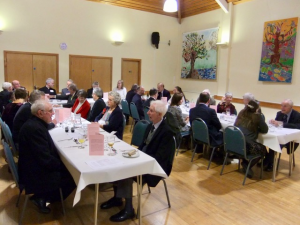 GOA Annual Dinner with Roger Judd MRVO – Saturday 4th November at 7 for 7.30 pm. 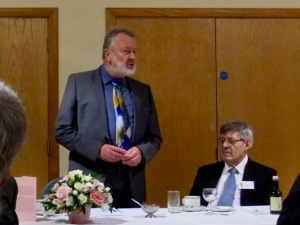 Our Annual Dinner was held in the Harwood Hall at Christ Church, Cheltenham, on Saturday 4th November at 7 for 7.30pm, with Roger Judd MRVO as our Guest of Honour. Roger Judd MRVO, Sub organist of Ludlow Parish Church, retired assistant organist of St. George’s Chapel, Windsor Castle, and Chairman of the Hereford Organists’ Society. Thursday 16th June – 7.30.Visit to the newly re-furbished Milton organ in Tewkesbury Abbey.